When you partner with Specific Step, you create strong relationship with us. We help you sell, provide service and implement our original as well as innovative solutions. The set of initiatives we have designed and created for you would empower you, the retailer, to deliver your best and gain profit from selling our products and services. Join us as a retailer to start your own online and offline mobile recharge business. You can recharge prepaid mobiles of all connections and of all mobile operation services. 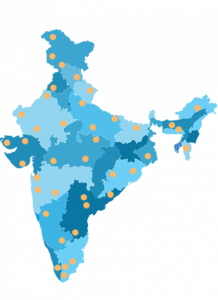 We provide you the facility to recharge any pre-paid mobile from any part of India, at any time and with just one click. Become a Specific Step retailer and earn profitable and rewarding commissions on every recharge made through your account. Specific Step is an emerging firm and we specialize in DTH, Mobile and Data card recharge technologies. Attractive margin slabs for all operations including Airtel, BSNL, Virgin, Idea, Aircel, Reliance GSM, Reliance CDMA, Vodafone, DOCOMO, MTS, TATA Indicom, TATA Loop, Videocon and Uninor. To provide hassle free services of DTH recharge and post-paid bill payment as well as prepaid recharge to your customers. Facility of all recharge from one SIM or portal. An opportunity to start your own business without much effort and risks as a retailer with us. A way to start your business immediately in which the initial investment is minimum. Single SIM and multicharged software to help you make hassle free transactions. 15.Our retailers the leverage of recharging for their customers any time and from anywhere for different service providers. In recent past when distributors and retailers, who were providing multi recharge facility to their customers, had to keep various sim and different devices for various mobile operators, it was really hassling, irritating and annoying. We, at Specific Step, offer all in one mobile recharge sim which uses single sim multi recharge and this is far easier than complex process included in the conventional system. Far less difficulty – In order to have access to lots of operators, the retailers had to keep different mobile phones loaded with balance to recharge for different companies. After becoming Specific Step retailer, you will not have to go through all these hassling processes. Lucrative business opportunity – With Specific Step retailership you get a chance to set up a never-ending recharge business. The best thing is that everyone now uses mobile phones and need to get recharged anytime of the day. Less investment – You get your business started with a very small investment. In addition to mobile recharge you can earn profit from other services like DTH recharge, data card recharge and many more. The investment is very low initially and after than you just need to maintain the balance of your account. Easy and fast business set up – Retailership starts almost immediately and needs very less time for setup. In fact, you can start earning right from the first day of your registration with Specific Step. Rewarding commission – You get flat commission for every recharge done through your account. There is a confirm commission that you get. You will have to send all the necessary documents via courier or speed post for verification. Your account will have to get verified and you should be ready for that. With simple three steps, you would become a Specific Step Retailer partner and establish a lifetime profit making business with us at a very low investment. Commissions and our attractive offers are going to make your business touch heights in no time.